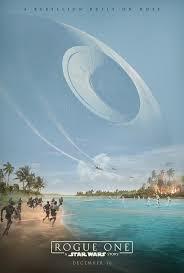 The evil Galactic Empire has created a powerful weapon that can destroy entire planets. The Rebel Alliance has learned that there is a fatal flaw in the weapon. To create the chance for safety in the galaxy, they must obtain the plans to the weapon and get them into the right hands. There is some adoption relevance here. A young girl sees her mother killed and is separated from her father. She is raised by another man, who functions as an adoptive parent to her, but he abandons her. Later, she must advocate for her father’s character to people who intend to kill him, and although she is an effective advocate, her father does die in her arms. Here’s a more specific explanation, but feel free to skip it if you don’t want a full plot summary before seeing the film: The Galactic Empire has conscripted the services of the brilliant engineer Galen Erso. He does not believe in the Empire’s goals, but he is coerced into service. As his young daughter Jyn watches, Galen’s wife is shot and Galen is apprehended; soldiers are sent to find Jyn, but she escapes, and is later rescued and raised by Saw Gerrera, a radical opponent of the empire. Fifteen years later, Jyn has been left by Saw and captured by the Empire. 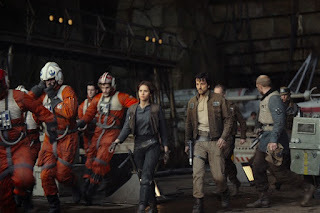 The Rebel Alliance frees her in the hopes that she will lead them to her father, Galen Erso. 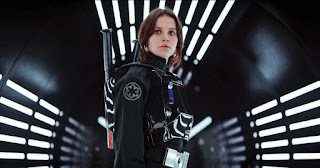 They believe her father to be primarily responsible for the creation of the powerful Death Star weapon, and hope to find him and kill him to prevent the weapon from being finished. Galen has sent a secret message, however; he is covertly working against the Empire and has created a fatal flaw in the Death Star. Only Jyn knows that her father has done this; the rest of her compatriots believe him to be a villain. She eventually convinces some of her band of his innocence, but her traveling companion Cassian is assigned to assassinate him. The would-be assassin has second thoughts and does not assassinate him, but Galen is wounded in a bombing raid and dies in Jyn’s arms. Jyn and Cassian develop feelings for one another. Jyn confronts Saw for abandoning her after raising her. 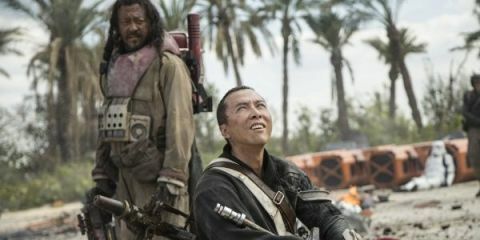 Jyn’s father is thought to be a villain, but he is secretly a good man. I like that this film gives hope that there can be redeeming qualities in long-lost relatives, even if those around you believe them to be all bad. A character wisely implies that true peace cannot be won through compelling others into submission through fear. Although Jyn was not able to say goodbye to her mother, she was able to say goodbye to her father. 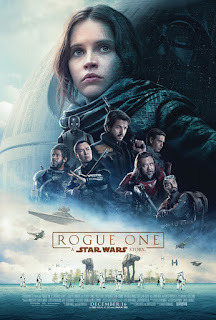 Jyn sees both of her parents die; as a young girl, she sees her mother murdered by a government official, and as a young adult her father dies in her arms after being injured in a bombing raid. As a young child, she also runs from soldiers who intend to abduct her. She feels abandoned by a man who has become like an adoptive father to her. 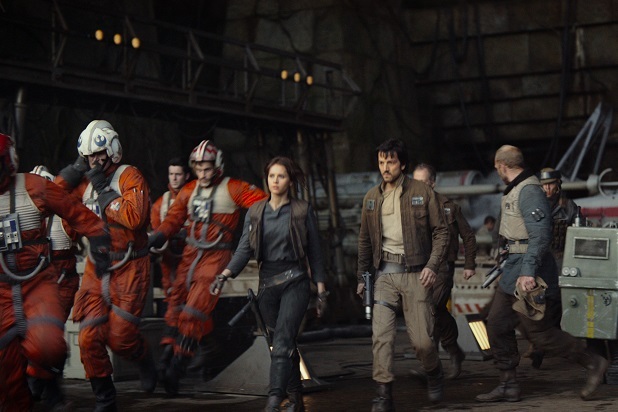 The heroes try to use Jyn in order to lead them to her long-lost father. They lie to her about their purposes; they intend to assassinate him. In a very short scene, a young child screams in terror; Jyn saves her and returns her to her mother. An Imperial official orders the execution of several innocent engineers. Rogue One seems likely to appeal to many kids but might be best suited to kids ages 12 and up. While kids 8 and up will likely enjoy it, the scenes in which Jyn’s parents are killed, and the concept that Jyn’s father is separated from her and badly misjudged, could be triggers for young kids. It should be safe for most kids ages 12 and up, and even then parents should watch it alongside their kids. After watching the film, consider inviting them to share their feelings about family members from whom they’ve been separated. If there are unhelpful and untrue negative beliefs, consider helping your child work through them. There’s also a particularly good line about people carrying their own prison with them – this could lead to an interesting talk about the power of forgiveness. One character said that there are “more than one type of prison,” and tells another character, “you take your prison with you wherever you go.” What does that mean? What do you think about that? Have you ever misjudged someone’s motives? Have you ever been misjudged? Who were the most trustworthy people that Jyn met? What do you believe about your birthparents?